Olivier Consolo has been the Director of the European Confederation of Development & Relief NGOs, CONCORD since its creation in 2003 until the end of 2013. Its 18 international networks and 25 national associations from the European Member States and the candidate countries represent around 2000 European NGOs which are supported by millions of citizens across Europe. CONCORD leads reflection and political actions and regularly engages in dialogue with the European institutions and other civil society organisations. CONCORD is part of the International Open Forum on CSO Development Effectiveness, the European campaign ‘Spring Alliance’, the European Civil Society Contact Group and the ‘Global Call to Action against Poverty’. 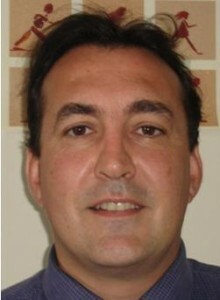 Olivier has also worked with a number of European NGOs both in the field as program director and at headquarters level. He mainly worked on issues relating to education, health, decentralization policies, local & economic development. He also coordinated a national and local public awareness campaign on ‘social economy’. He has been involved on many occasions in CSO funding issues. Olivier Consolo also worked in Guatemala for a European Union Delegation for 3 years in charge of the relations with CSO and as coordinator of a pilot initiative of joint programing called ‘meso-dialogue’. He collaborated for one year with a peace mission of the United Nations in Latin America, where he lived for a total of 8 years. Since 2011, Olivier is a member of the international committee of the “Fondation de France”. Local development, human rights & democracy, international development cooperation policies and the participation of civil society & citizens have been at the core of his work and engagement during the past 22 years.